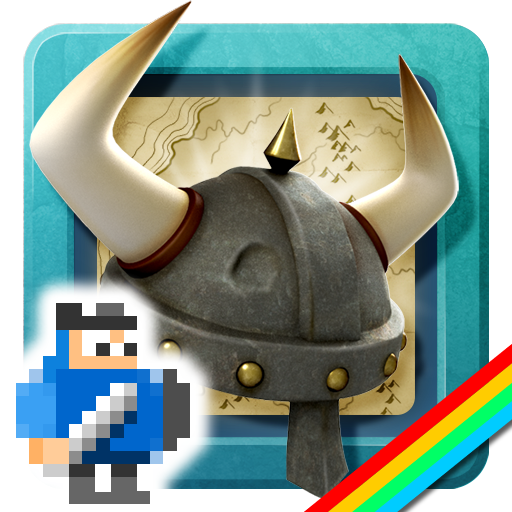 Viking Invaders is a 30th Anniversary remake of Viking Raiders (ZX Spectrum). 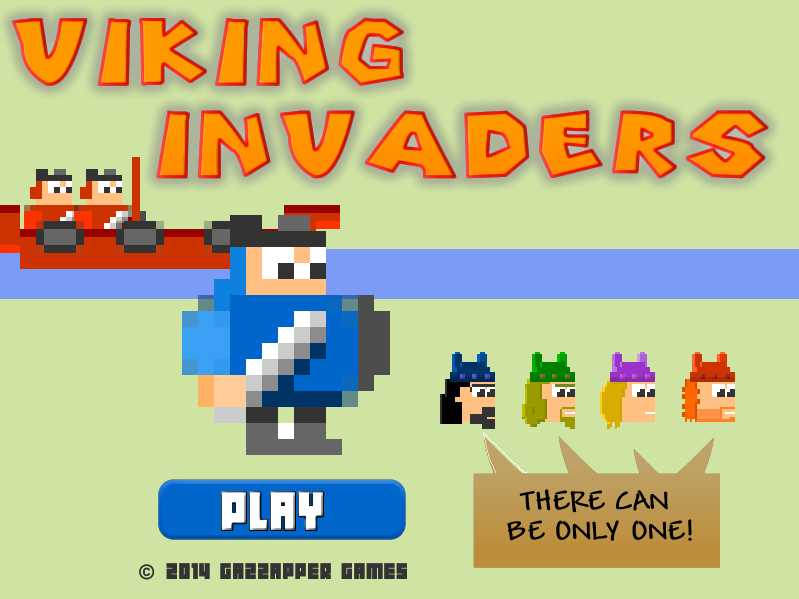 1 - 4 Player Turn-Based Strategic Fun! 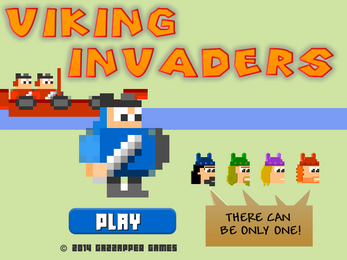 Viking Invaders is a war game for 1, 2, 3 or 4 (any combination of human and/or computer) players. 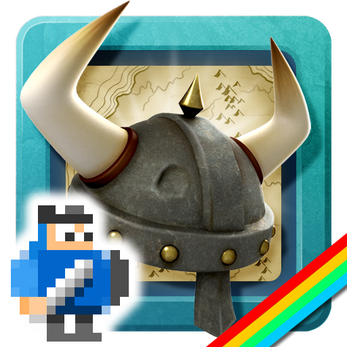 You can watch your Vikings move from their castles, fight with swords, board boats and sail down the Fjord, attack castles, seize gold from treasure chests and fire catapults. 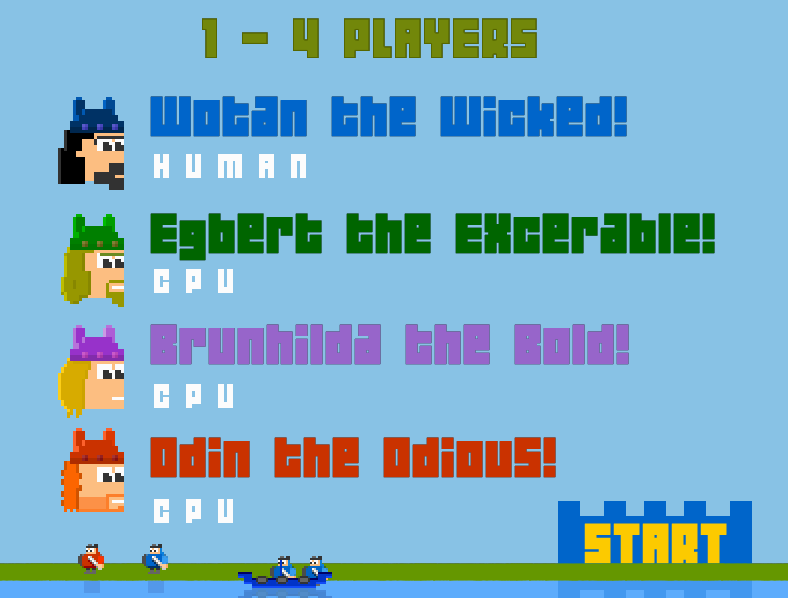 Choose from Wotan, Brunhilda, Egbert or Odin and fight against your opponents. 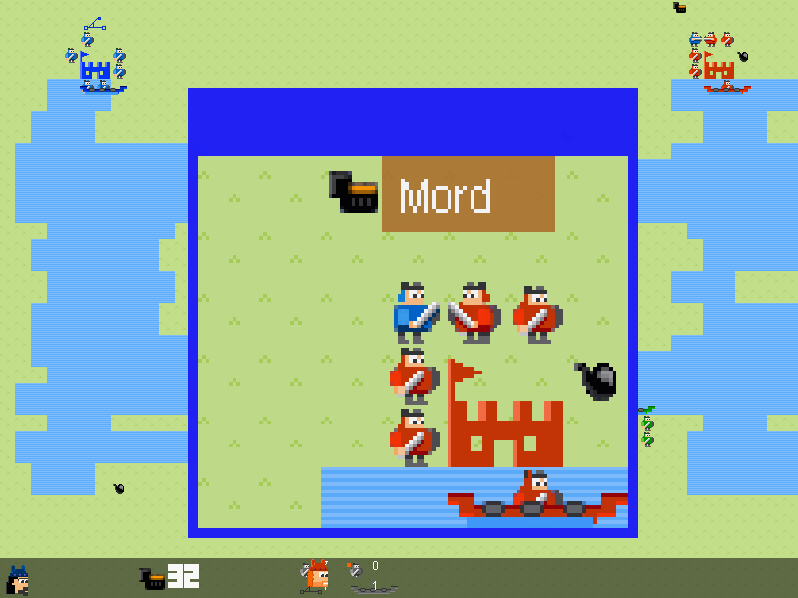 Boats can be used to transport armies across the Fjord, or to ram an opponent. Catapults may be fired once only each turn, after selecting the direction and distance. Beware the evils of drink! If a Viking walks into (and empties) a drinking horn they will become uncontrollable! 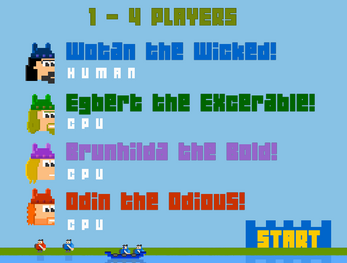 Each HUMAN player starts the game with a Gold hoard of 50 coins. 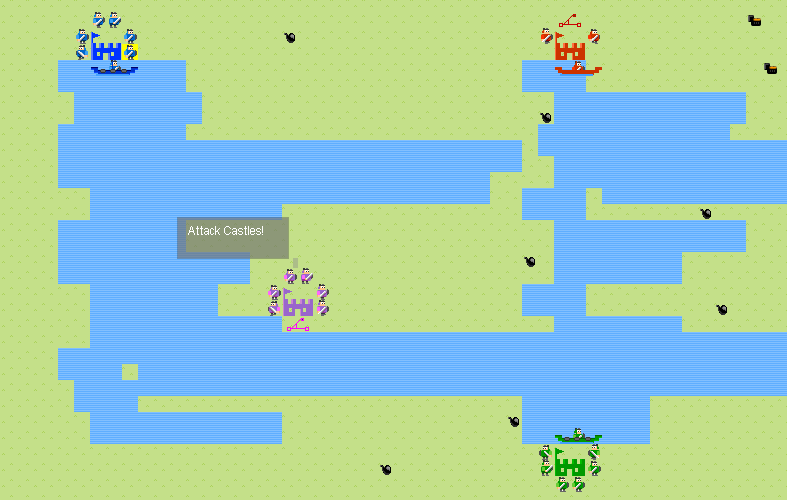 Depending on your financial situation at the time, you can buy one boat and one catapult each turn, and as many armies as will fit in the space around your castle. 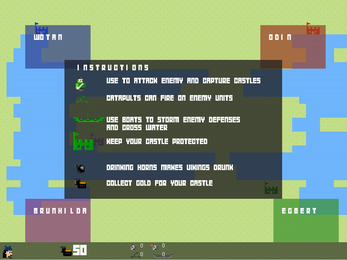 You can increase your spending power by carrying treasure from a treasure chest to your castle. Captain Birdbrain Gets them stuck in the ice! - Buy plenty of units. - Position units to defend your castle. To defeat an opponent you must attack their castle. Like real battles, this may take several attempts before you achieve success. 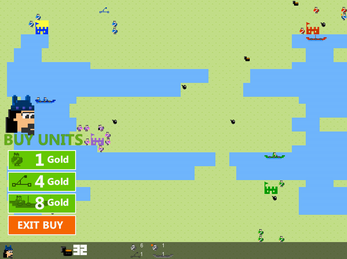 All defeated armies, boats and catapults belong to the Victor. The WINNER is the player with the last castle and all the pieces.